YOU DON'T OWN ME ANYMORE!!! This week we cover one of your topics and talk about something we all dread at some point in our lives...FACING OUR PARENTS!!! Do you feel like your parents failed you? Are you not feeling respected by the people that brought you into this world? Find out how to not let your parents ruin your life on this week's episode of the BF Pod! 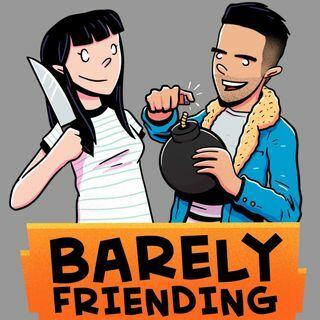 The Barely Friending Podcast is ... See More hosted by Eddie Della Siepe and MJ Riggins. Follow them on Twitter, Instagram, and Snapchat!